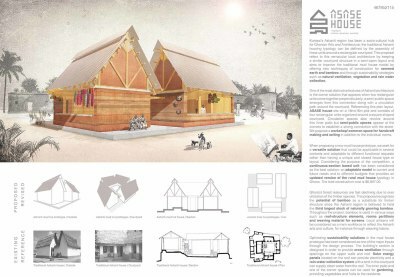 Kumasi’s Ashanti region has been a socio-cultural hub for Ghanaian Arts and Architecture; the assembly of linear units around a rectangular courtyard can define the traditional Ashanti housing typology. 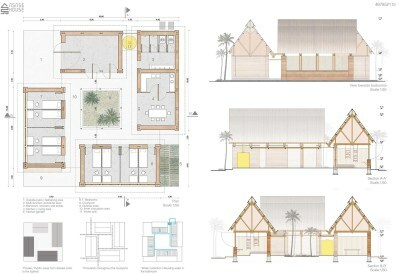 This proposal refers to this vernacular local architecture by keeping a similar courtyard structure in a semi-open layout and aims to improve the traditional mud house model by offering new techniques of construction for rammed earth and bamboo and through sustainability strategies such as natural ventilation, vegetation and rain water collection. One of the most distinctive features of Ashanti architecture is the corner solution that appears when two rectangular units come together perpendicularly: a semi-public space emerges from this connection along with a circulation path around the courtyard. Circulation spaces also revolve around this inner patio but semi-public spaces appear at the corners to establish a strong connection with the street. 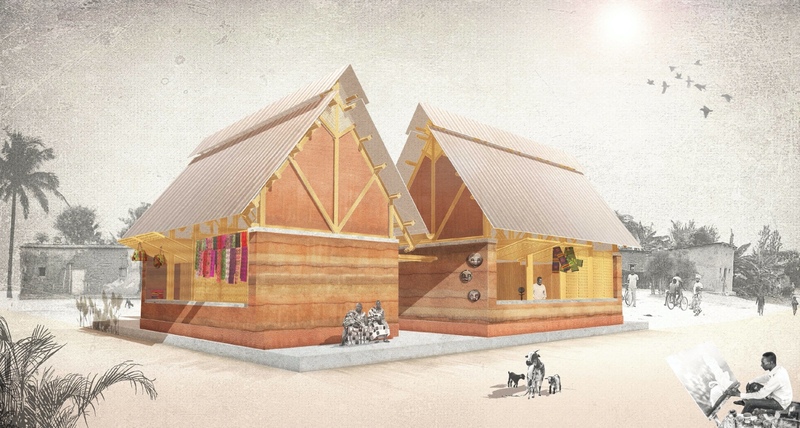 We propose a common space for handcraft making and selling in addition to the individual rooms, which will be separated by bamboo partitions. 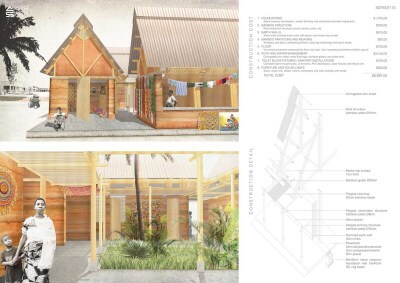 The corner spaces and the room fronts are conceived as areas for social interaction between local people and residents.